The decision by the Nine Entertainment Company to enter into a six figure deal with the parents of a 14-year old boy arrested in Bali for drug possession is breathtaking even by the lamentable standards of the Australian commercial media. Never mind the egregious act of rewarding criminal behaviour, which may be in breach of Australian laws prohibiting offenders from benefiting financially. Incredibly, this is a deal that has come to light even before the court case against the boy has concluded and may well jeopardise the efforts of Indonesian lawyers to secure his early release. All the normal conventions that ought to apply in this instance have been tossed to the winds in the blind pursuit of television ratings and magazine circulation. 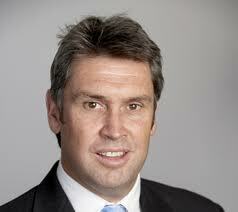 Nine’s action beggars belief. It is corporately irresponsible, legally questionable – maybe illegal – and morally reprehensible. With a 14-year old’s freedom and future at stake, it is quite simply mad. We’re told that the deal with the boy’s parents was concluded by Nine’s managing director, Jeffrey Browne, and signed off by group CEO, David Gyngell. One truly has to wonder about the moral compass of these individuals, let alone their judgment. They – and the boy’s lamentable parents – stand accused in the court of public opinion of greed and stupidity on an epic scale. They deserve to cop the full force of that opprobrium, along with a rectal examination by the broadcasting authorities of the circumstances of this arrangement. It’s not merely the payment that is grossly offensive but the terms Nine is using to promote one of the basest instances of chequebook journalism Grubsheet has ever witnessed. The boy is to be “unmasked” on 60 Minutes, the bizarre Darth Vader head gear that has protected his identity hitherto removed so that the eyes of the world can gaze on his pimply face and hear his grubby tale – of a life derailed by a $20 dope deal in a Bali backstreet alley. The law – in both Indonesia and Australia – protects the anonymity of such people for good reason. They are minors and deemed to be less responsible and more vulnerable than adult offenders. The Indonesian authorities took specific steps to protect this boy from prying lenses. The judges went out of their way to be solicitous, telling him not to be worried and regard them as family. The boy made a tearful plea to be released and all the indications thus far have pointed to the judges accepting that plea on the basis that the boy was already a problem drug user. What will they now be thinking as they contemplate the news that far from wanting to stay anonymous, he and his parents are publicity seekers prepared to be “unmasked” on Australian television for commercial gain? Already, Indonesian lawyers are warning that news of the deal – reportedly worth up to $300-thousand – may cost the boy his freedom. If that happens, then God help the family and God help Channel Nine. The trouble it’s already in for being economical with the truth about its attempt to influence public debate on Andrew Wilkie’s poker machine legislation will be a storm in a teacup compared to the hurricane brewing around it now. Nine was once the jewel in the crown of one of the powerhouses of Australian journalism – Kerry Packer’s Publishing and Broadcasting Limited. Its range of news and current affairs programs surpassed even those of the public broadcaster -the ABC – and were complimented by prestigious print stablemates of the calibre of The Bulletin and the Australian Women’s Weekly. Grubsheet worked on and off for Kerry Packer for the best part of a quarter of a century and was eventually given the task of compiling the old man’s prime-time obituary. It proved to be an obituary of sorts for both of us, for with Kerry’s death came our own demise, the end of the road for the brand of quality journalism embodied in the weekly Sunday program, on which we worked. Sunday was a protected species while Kerry was alive. But his son, James, had no interest in the media, let alone quality journalism, and an unrelenting plunge down market eventually led to Packer Junior gradually divesting himself of the family media empire in favour of his first love – gambling. 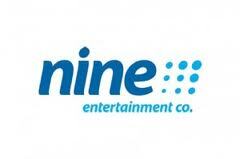 The television and print assets of PBL Media passed into the hands of a private equity firm, CVC Asia Pacific, and the group was eventually re-branded as the Nine Entertainment Company. The name itself pretty much says it all. Entertainment at all costs. Even the freedom and welfare of a 14-year old boy. POSTSCRIPT: Both the Nine Entertainment Company and the boy’s parents have since announced that no deal has been entered into for the boy to tell his story on the company’s media outlets. The announcement comes after a public outcry in Australia and warnings from Indonesian lawyers that the deal could jeopardise the boy’s release. It remains to be seen whether any deal has been scuppered permanently or is merely on hold until the boy leaves Indonesia. This profile of the Sydney fixer who stitched up the deal, Grant Vandenberg, makes it abundantly clear that a deal was in place until it was derailed by the response of the Indonesian response. Again, time will tell if it’s ever reactivated. But given the circumstances, we certainly don’t feel the need to withdraw this article. The apparent failure of both Nine and the boy’s parents to comprehend the inevitable backlash most certainly – in our view – speaks of avarice and blind stupidity.